More recent history coming soon! 2012: Fr. John Paul Knopik is assigned to the Holdingford Cluster. 2011: Fr. Joe Korf is assigned to Staples/Motley and Fr. Omar Guanchez is assigned to Melrose/Greenwald/Grove cluster. Fr. Lauren Germann, pastor, and Fr. John Paul Knopik, newly ordained associate pastor, are welcomed to the parish. Saint Andrew Catholic School starts a preschool program and eliminates sixth grade. 2010: Parishioners Matthew Crane and Michael Wolfbauer are ordained deacon and priest, respectively. 2009: Fr. 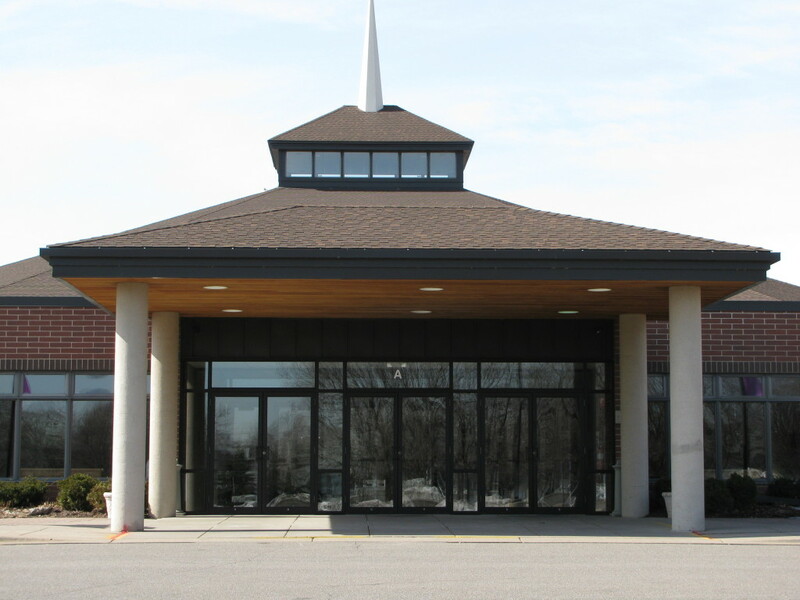 Glenn Krystosek is assigned as pastor of a three-parish cluster in Paynesville. A newly ordained associate pastor, Fr. Omar Guanchez is welcomed to the parish. Parishioner Michael Wolfbauer is ordained a deacon, and parishioner Sr. Carmen Barsody celebrates her 25th year in ministry. 2008: The property on the east side of the church known as the Murray Property is purchased. The plan is for the associate pastor to reside there. 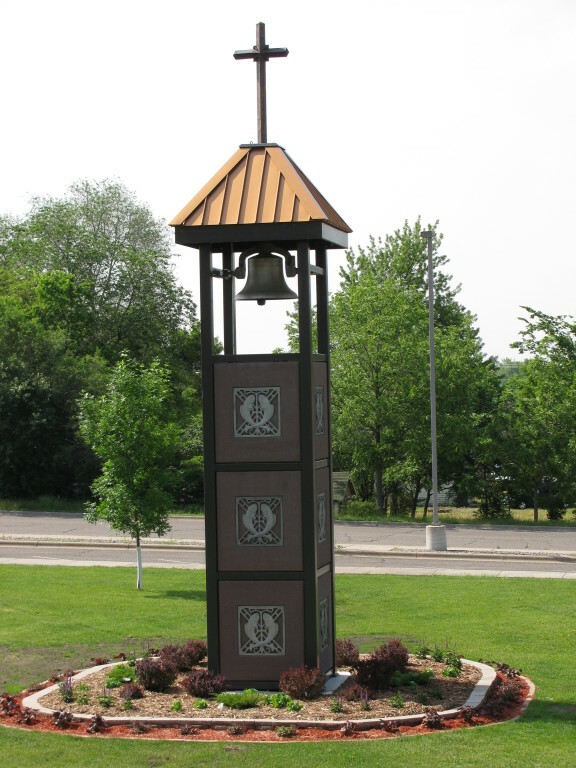 The Bell Tower was is built on the west side of the parish offices, including fish panels and the refurbished bell from the old church. 2007: Fr. Dave Petron is reassigned as associate pastor for a three-parish cluster. A newly ordained associate pastor, Fr. Glenn Krystosek, is welcomed to the parish. Highway 10/169 corridor study begins with delegates from the affected parishes. 2006: Another newly ordained associate pastor, Fr. David Petron, is welcomed to the parish. Summer brings several large projects: school floors are redone with tile and the outside of the oldest portion of the school is repaired and tuck-pointed. The parish Fall Festival is held indoors in the new facilities for the first time due to inclement weather. 2005: Construction begins on the first phase of the expansion. Fr. Daniel Walz accepts an assignment at another parish. Parish meetings are held to inform the community on master plan progress and invite continuing support. On Dec. 12, Bishop Kinney blesses the new kitchen, gym/social hall, cafeteria, meeting rooms and other new areas of the first phase of the expansion. 2004: Income from Capital Campaign surges over the $1 million benchmark. Planning for phase one design and construction gets underway by the Parish Building Committee and architects. 2003: Capital Campaign entitled, "Growing to the Future" is launched to fund Phase I of the expansion project. The parish now includes more than 2,000 families! Newly ordained Fr. Daniel Walz is appointed as associate pastor of the parish by Bishop Kinney and arrives in July. 2002: Debt for the new church is retired. Planning meetings are held for an expansion of parish facilities to eventually include a parish social hall, parish gymnasium, cafeteria, kitchen, staff offices, religious education space, dedicated youth space, nursery and day chapel. 2001: Parishioner Gregory Paffel is ordained a priest. 2000: The original capital campaign expires and is followed by the “Together, We Can” debt retirement drive with the hopes of retiring the new church construction debt in 2002. 1999: Fr. Joseph Korf is appointed the new parish pastor. He inherits more than 6,000 registered parishioners (more than 1,800 families), making Saint Andrew the largest parish in the diocese. Fr. Kieffer hires the first lay parish administrator before he is transferred. 1997: Construction is undertaken and completed on the new church. Bishop Kinney dedicates the new worship space on Nov. 30, the Feast of St. Andrew. 1995: Planning begins for the construction of a new church. 1994: Four more classrooms are built onto the school by parent volunteers. 1993: Fr. Robert Kieffer becomes the new pastor. He will serve the parish for six years. Fr. Ben Walz joins him as an associate pastor but leaves the following year. 1991: Fr. Mark Stang becomes the third associate pastor to serve the parish. 1990: Two classrooms are built onto the school. 1989: A feasibility study, “Partners in Growth,” is undertaken for long-range parish needs. The second associate pastor, Fr. Joseph Vandeberg, is appointed to the parish, which now serves 903 families. 1988: Parishioner Jeff Ethan is ordained a priest. 1987: A temporary building is erected for extra classroom space. 1986: The Parish Council decides doing nothing is not an option. Building and finance committees are appointed and begin work on additional classroom space. 1983: Saint Andrew parishioners Kevin Anderson and Fred St. Jean are ordained to the priesthood and permanent diaconate, respectively. 1981: Fr. Frank Ebner is installed as the fifth pastor of the Church of Saint Andrew. He is a native of the parish. 1979: A single Easter Mass is held at Elk River Senior High for the entire parish. The practice continued for several years. Kindergarten class is opened. Parishioner Cecil Adams is ordained to the permanent diaconate. 1978: The first parish festival is organized and held. It continues to be an annual tradition today. 1976: First lay principal is hired by Fr. Haupt. 1974: The first music director is hired. 1973: The first associate pastor, Fr. Gerald Petermeier, and the first religious education director are welcomed to the parish. 1970: The first parish council is established, and parish membership grows to 3,280 registered members. 1969: Vatican II changes, resisted until now, are implemented by the fourth pastor, Fr. Lloyd Haupt. 1965: The parish hires its first director of youth ministry. 1962: The Knights of Columbus form a council here. 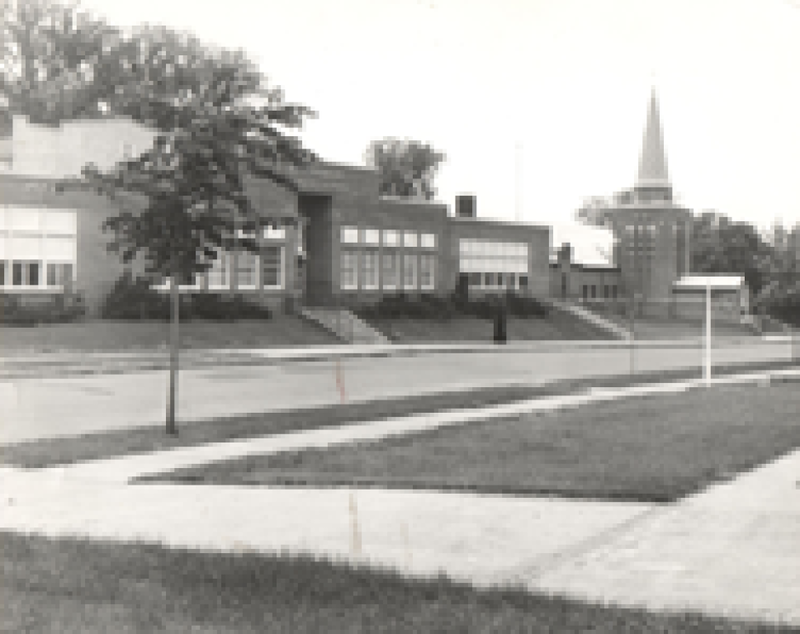 1959: A four-room addition to the school is completed along with the construction of a new rectory (the current parish offices) and power plant. Fr. Sylvester Gall, the new pastor, oversees these projects. The parish has 1,290 registered members. 1958: The town of Big Lake starts its own parish with 20 families from Saint Andrew. 1957: The town of Zimmerman establishes its own parish. 1955: Fr. Alphonse Kremer is appointed to replace Fr. Trobec. He will serve the parish for four years. Planning begins immediately for a school expansion. 1954: The church is remodeled and blessed by Bishop Batholome. 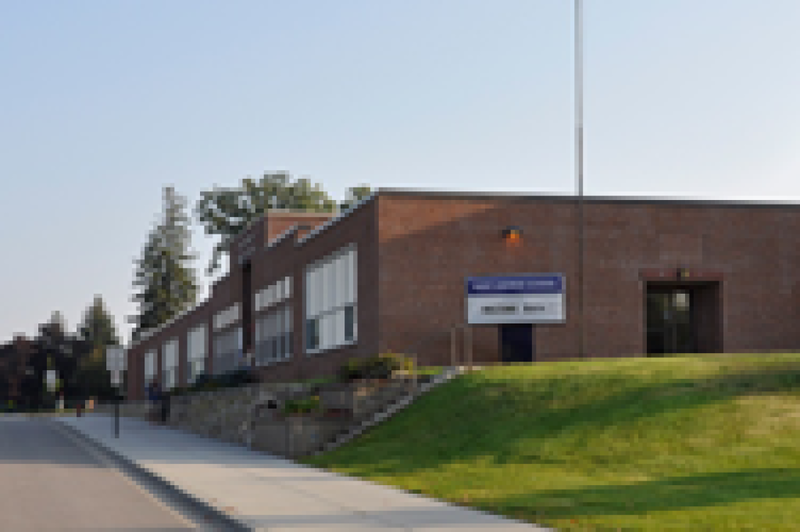 School builds a two-room addition. 1953: The Home and School Association is formed. 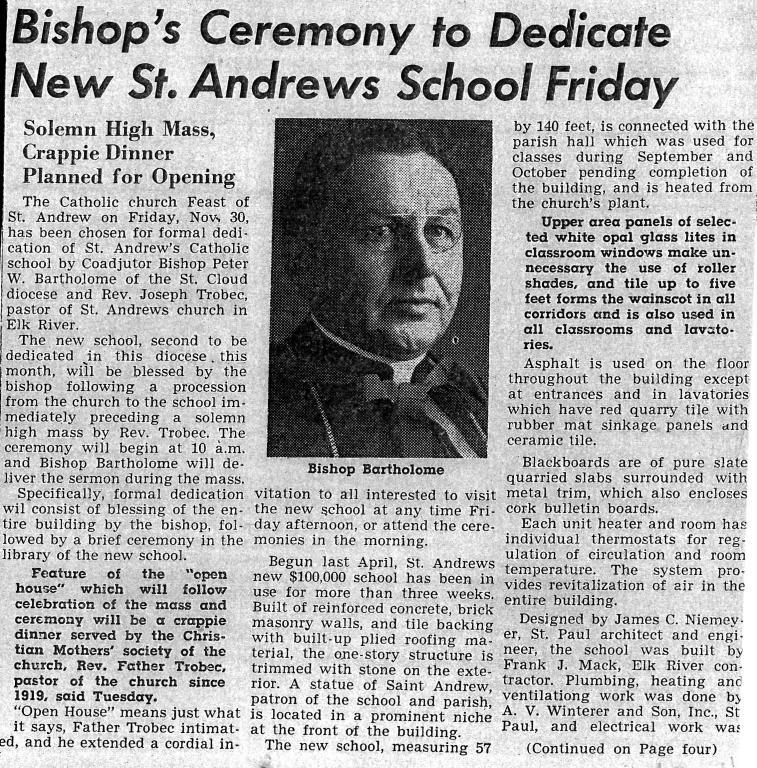 1951: Saint Andrew Catholic School is built and dedicated on Nov. 30, the Feast of St. Andrew. 1947: Frank Ebner becomes the first member of the Church of Saint Andrew to be ordained a priest of the diocese. 1945: The Church of Saint Andrew has 135 member families. 1941: A contract to form a “Catechetical School” with the Franciscan Sisters of Little Falls is signed. Two sisters arrive to begin that task and continue to staff the enterprise until the Saint Andrew school opens eleven years later. 1935: The parish grows to 105 member families. A decision is made to demolish the parish hall (the old frame church) and build a new one. The project is finished by year’s end. This structure currently serves as the school gymnasium. 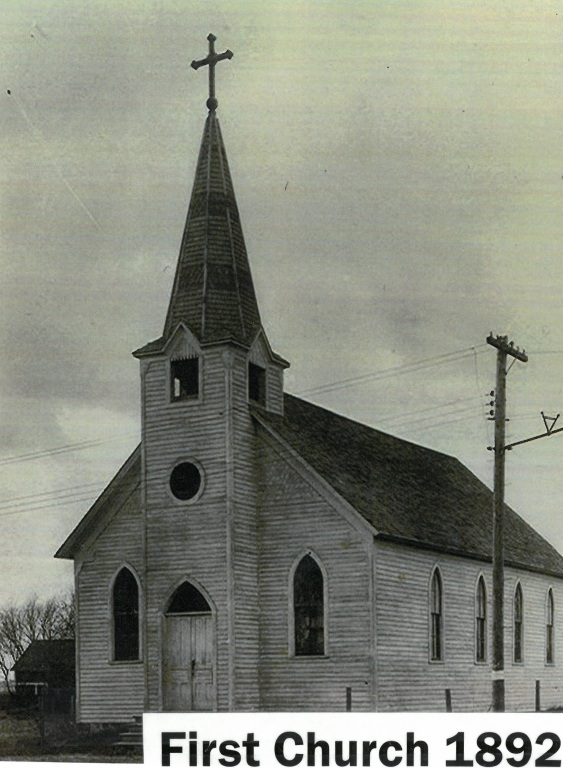 1932: The town of Becker establishes its own parish and is detached from Saint Andrew. 1920: The Church of Saint Andrew is officially incorporated. Fr. Trobec establishes a religious education program, often renting a bus that he personally drives to pick up the children. He also serves as the parish janitor. His sister Mitzi is his housekeeper. 1919: Fr. Joseph Trobec becomes the first resident pastor of Saint Andrew and would stay for almost 40 years before being re-assigned. The parish boundaries at the time were roughly quadruple that of today, encompassing roughly 140 square miles. The parish grows to 55 families and begins planning for a new church building. 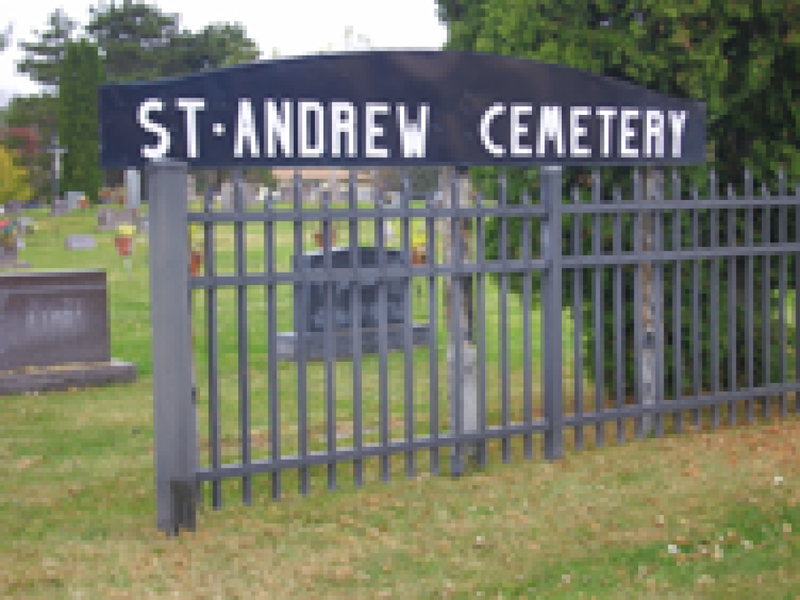 1902: The first person is buried in Saint Andrew Cemetery. 1898: The Church of Saint Andrew begins keeping its own sacramental records. The first four recorded baptisms take place on Aug. 18. 1893: The parish swells to 15 registered families, with another 30 families attending. The first marriage is celebrated at the Church of Saint Andrew but recorded elsewhere. 1892: The first frame church is erected at a cost of $900. Until this time, services were held in the residence of a parishioner, Peter Moeger. The mortgage was paid off by 1919. 1890-91: The Church of Saint Andrew is established as a mission parish with eight families. The parish is primarily Hungarian and is served by mission priests who came twice monthly and on the great feasts of the church year. 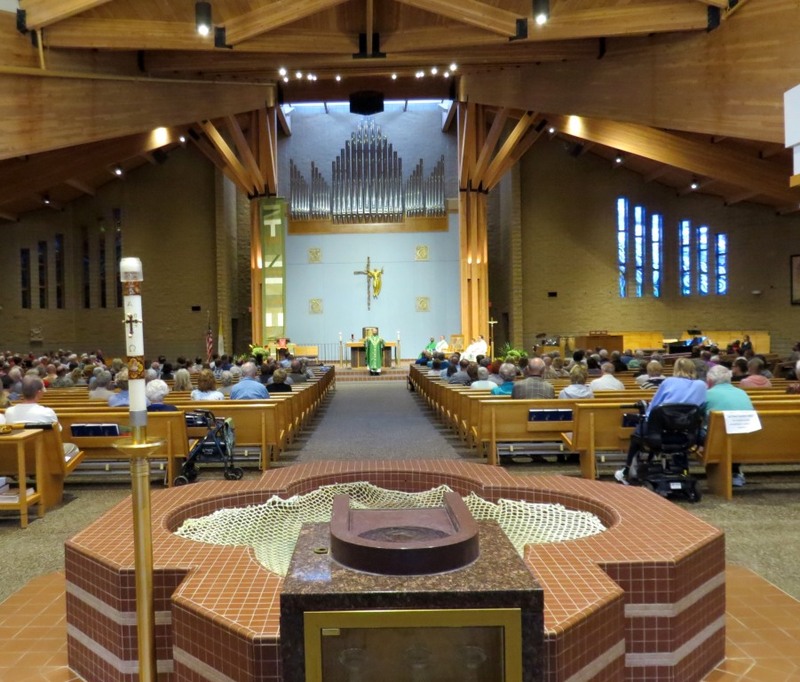 Prior to this time, Catholics had to travel to Dayton, Fletcher, St. Michael or Anoka for Mass. Most people went to Anoka. 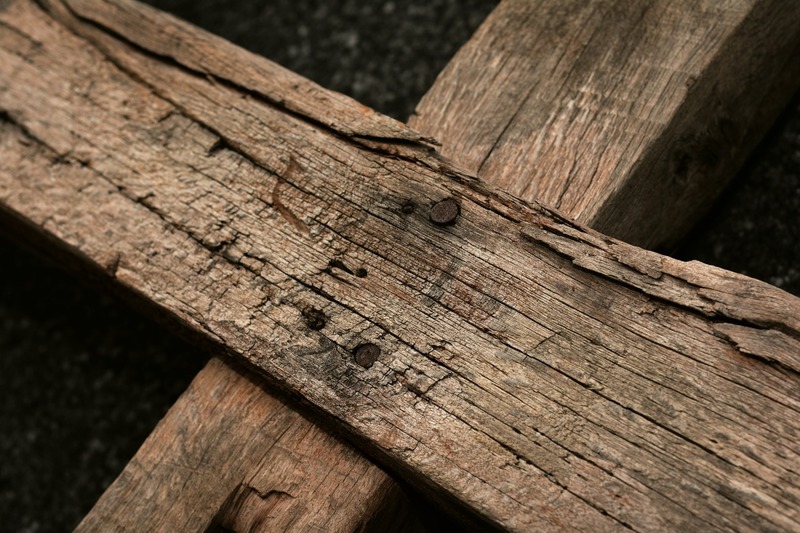 The reasons why St. Andrew was chosen as the parish’s patron saint are lost to history.